What Are The Benefits Of An Electrical Safety Inspection? Electrical safety inspections are really important as they keep everything running smoothly and safely in your home. There are many great benefits of having an electrical safety inspection done that you may not be aware of. Let’s have a look through these inspections and how they can be of benefit to you. Electrical fires are one of the most common causes of home loss across the US. These fires are often caused by faulty electrical systems. Internal electrical problems such as bad or deteriorating wiring, as well as shorting issues, can both easily cause a fire. Art Plumbing, AC & Electric will easily be able to test your home for any threats of shorting or for any wiring problems that could lead to fires. We’ll also be able to look through your home to identify additional ways to protect you and your family against fire outbreaks. These can often be overlooked, but sometimes electrical appliances can be prone to electrical faults. Sometimes these are caused by internal faults but can also be caused by human error. For instance, some coffee or liquid may have been accidentally spilled on a toaster which could lead to shorting issues. 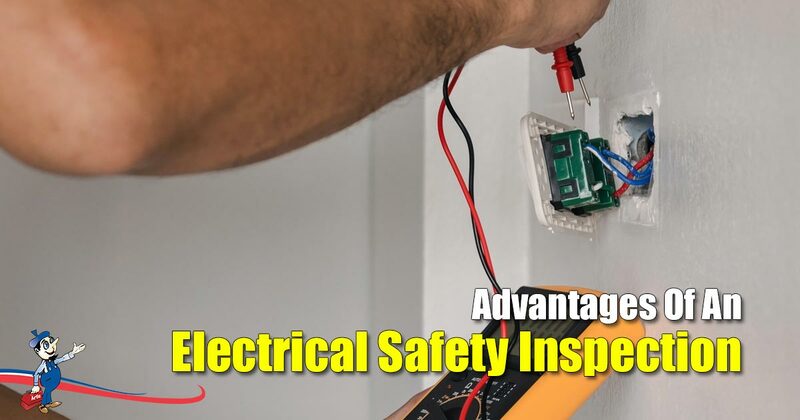 An electrical safety inspection will help to identify if the problem lies with an internal wiring issue or possibly with an electrical appliance. Another reason you need electrical testing is to help identify any issues that are preventing your electrical systems from running efficiently. Over time wiring can deteriorate and begin to operate intermittently. Electrical testing will be able to discover these problems and pin point where the exact problems lie. Inspections can also include other benefits such as the identification of any overloading of electrical circuits. These inspections also take away any risk of electrocution because of an underlying fault. Another benefit is that when Art Plumbing, AC & Electric does an inspection, we will be able to identify any poor previous workmanship that may have taken place and will then correct these. We offer many electrical services which will also help to make your home a safe and more efficient place. As with other states in the US, the state of Florida has electrical standards that must be complied with in order to keep your home safe and up to code. A good electrical inspector such as Art Plumbing, AC & Electric will have a good knowledge as to what these standards are and will be able to ensure that your home’s electrical system meets all of these standards. Safety is not something that you want to mess around with. Not complying with electrical standards could result in you facing penalties and fines which can often be quite hefty. There are various tests that can be performed in order to adhere to these standards. Examples of these tests may include a high voltage test or an insulation resistance test. Compliance gives you the peace of mind that your home is a safe environment where your family and friends aren’t at any risk. As you can see, there are many benefits to getting an electrical safety inspection done. Whether you’re buying a new home and need a compliance certificate issued, or if you’re wanting to give your older home the TLC that it needs. Just remember to use a reputable company such as Art Plumbing, AC & Electric to do your inspection. We are confident in the quality of our workmanship and service that we offer. Remember that whatever that problem is, Art can fix it.